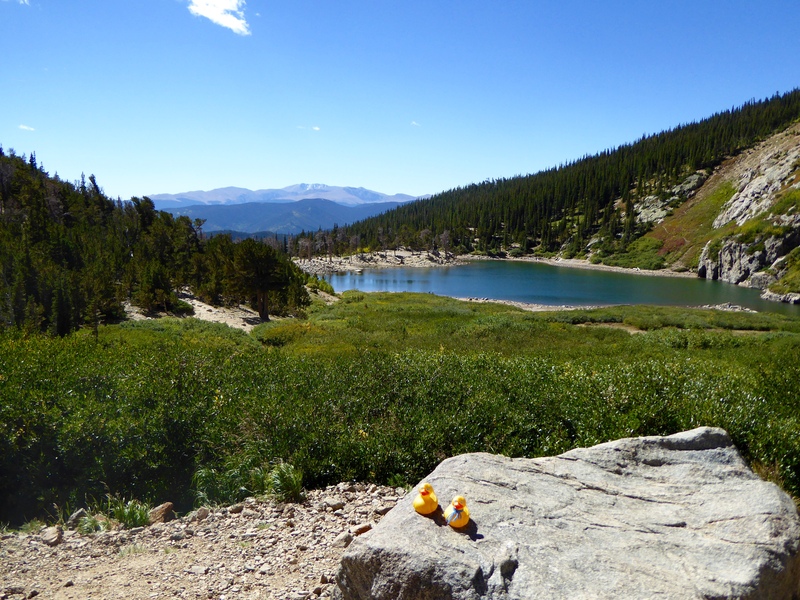 The Colorado Traveling Ducks Visit St. Mary’s Glacier. 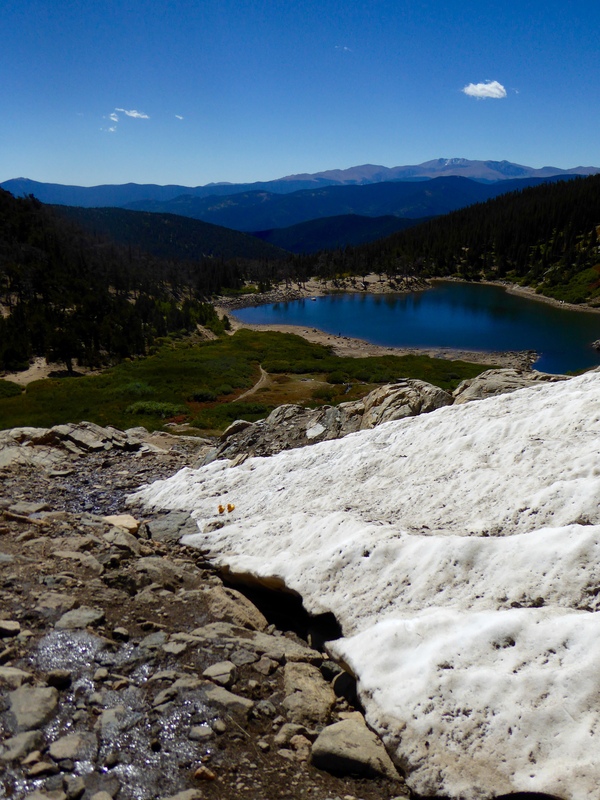 Yesterday we drove through Idaho Springs, Colorado to St. Mary’s Glacier. Into the parking lot, paid our $5 parking fee and began our hike. 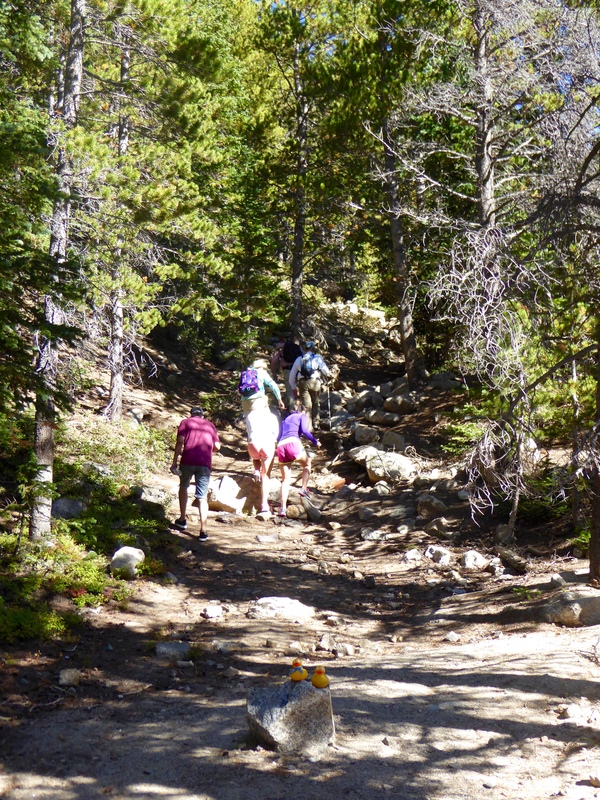 Heading through the woods, on the trail, we climbed rocks and climbed over trees that had fallen over the trail. 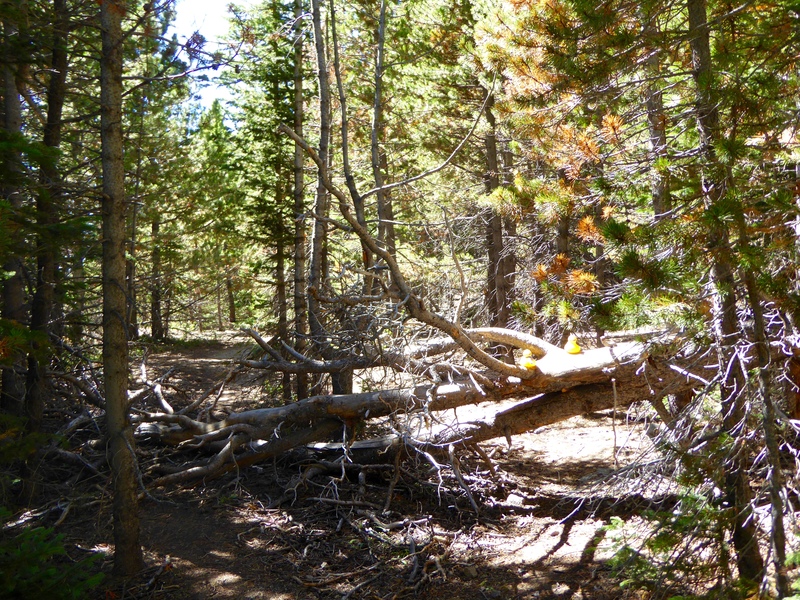 Climbing over trees in trail. Isn’t this beautiful? These abandoned buildings were perfect for a photo. 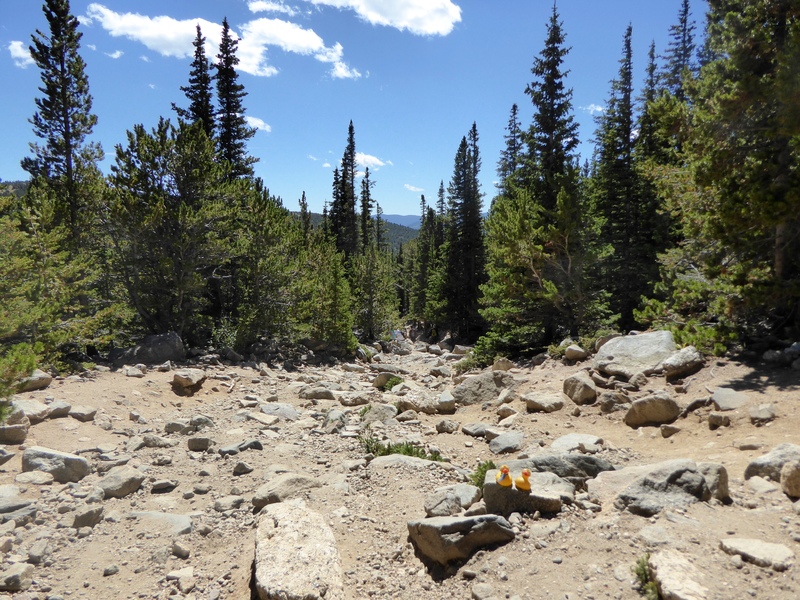 Soon the trail resembled a rocky road. Wide trail with large rocks. Please do not try to drive vehicles here. There are many trails. 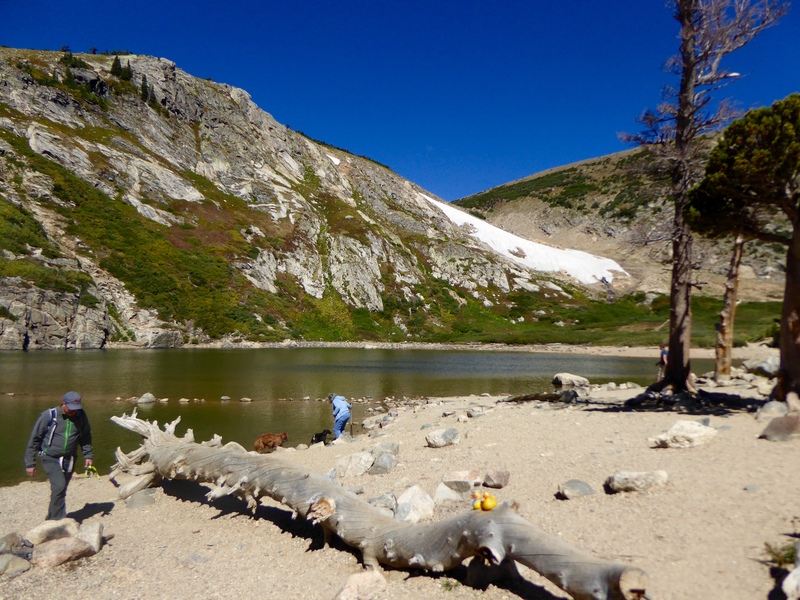 If you are climbing, you will arrive at the lake and glacier. If you are descending, you will reach the parking lots. When we arrived, there were not many people. Only 12 cars in the parking lot. We took the path less traveled. We love water, so we walked toward the sound of the river. 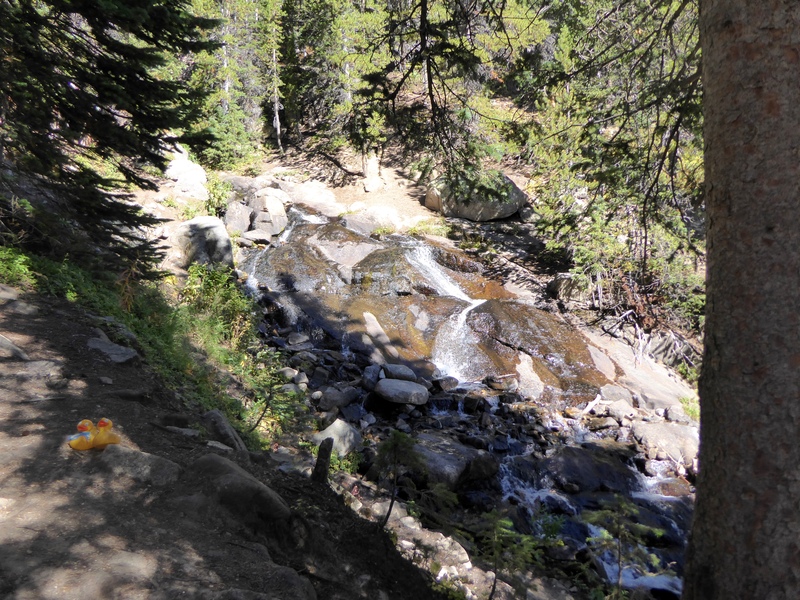 The trail was narrow and steep, but so beautiful with only the sound of birds and water tumbling over the rocks. Continuing, we soon reached St. Mary’s Lake. That is not snow in the background. That is St. Mary’s glacier. Like most glaciers, St. Mary’s is receding too quickly. 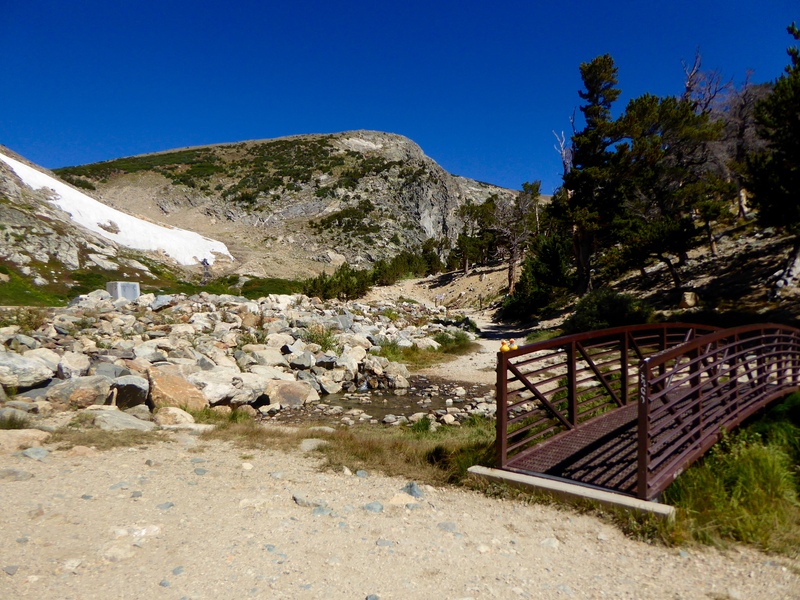 There is another trail to the glacier. We are allowed to walk on the glacier and some people even ski on it. Over the bridge we hike. Part way to the glacier, we stop to admire the view of the lake. Lake is so pretty and sky so blue. These two dogs are having a lot of fun running on the glacier. We have gained over 1,200 feet in elevation since we left the parking lot, and are now about 11,000 above sea level. The thinner air has less oxygen, so many tourists have a little difficulty breathing. Those of us that live in Denver and west of Denver, usually do not have too much trouble. Here we are, sitting on the glacier. We are on the glacier above the lake. Isn’t this a beautiful area. We are only about 40 miles from our home. In less than one hour, we can be in this beautiful place. Living in Colorado, we truly can have a vacation in a few hours. The temperature here is about 55 degrees F, (about 14 degrees C) and there is a slight breeze over the glacier, but it is rather warm. You can see the bright blue sky, with only one small cloud. The sun is bright, and at this altitude, the sun is very intense. Many people are hiking in shorts. But, it is smart to wear good hiking boots here. However, when the sun sets, the air quickly gets rather cold. This is just another reason we love living in Colorado. The hike from the parking lot to the lake is only about 3/4 mile. This is an easy day trip from Denver. 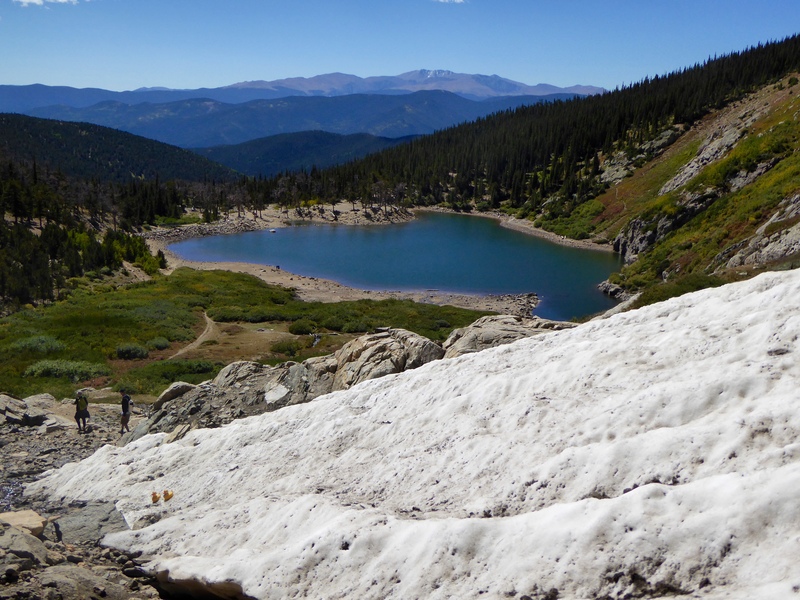 If you don’t live here, we hope you visit and see St. Mary’s glacier and more of Colorado’s Rocky Mountains. 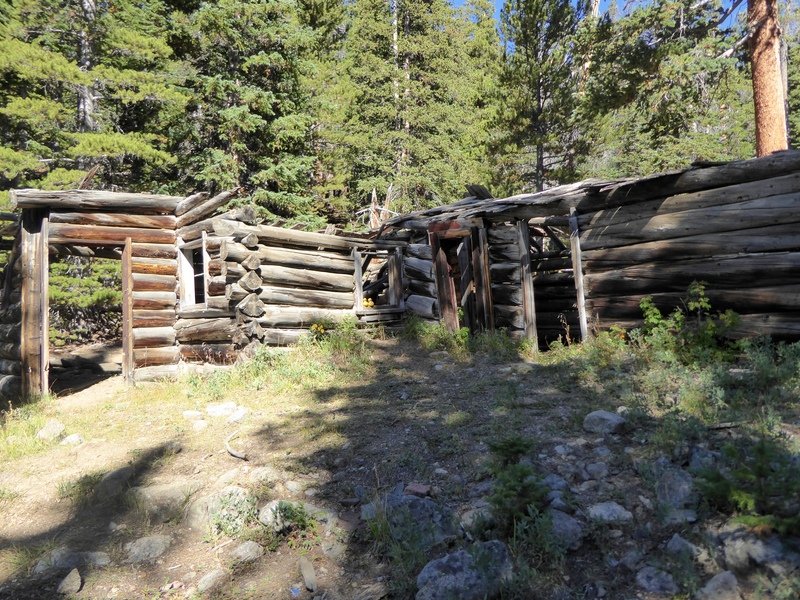 This entry was posted in Colorado, Uncategorized and tagged bright sun, Colorado, Colorado Traveling Ducks, hike, Idaho Springs, St. Mary's Glacier, St. Mary's Lake. Bookmark the permalink. I didn’t know you had glaciers. I’ve learned something new today. Your photo of the lake with the mountains in the background is gorgeous. 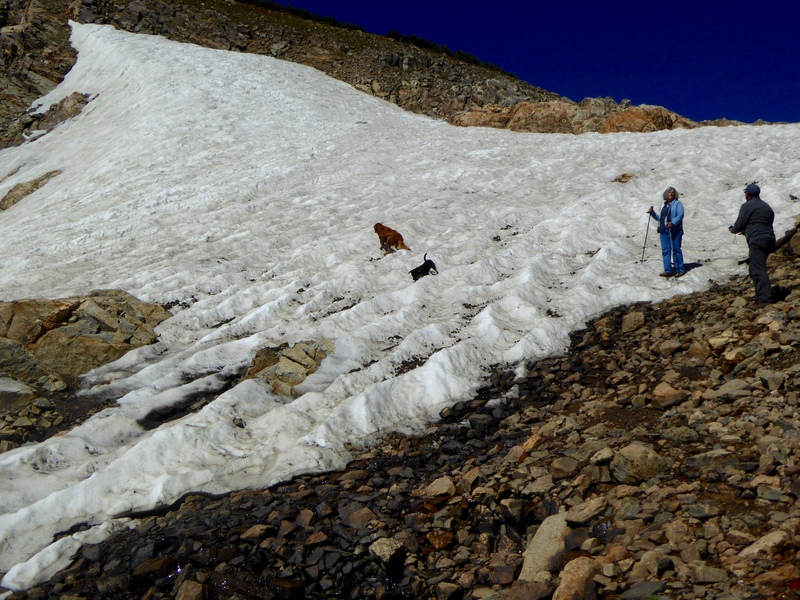 Yes we do have a few glaciers in Colorado, but like everywhere, the are melting. This is such a beautiful place, a definite favorite. Thanks for reading and commenting.